Governor Dayton proclaimed January 12-18, 2014 as Paraprofessional Recognition Week. On Friday, January 24, our staff members thanked our paraprofessionals (whom are Educational Support Professionals, or ESPs, and Administrative ESPs to us) with a luncheon in their honor. 3rd grade teacher Mrs. Berg stated it well in some of her recent Twitter posts about how valuable and important our ESPs are. We have ESPs that support clerical, instructional, special education, and English learner assignments. ESPs supervise students in Kidstop, on the playground, in the cafeteria, to and from buses, and outside with safety patrols. They provide instruction to individual and small groups of students in grade level, special education, and EL classrooms. They deliver intervention programs such as Gates, Early Success, Soar to Success, and Read Naturally. They assist with volunteers, testing, technology, media, resources, supplies, student information processing, greeting visitors, scheduling, student behavior, recognition programs, academic support, and so many other things that support students, families, and staff members. We greatly appreciate our ESPs and AESPs and say thank you to Cathy C, Colleen, Mary G, Marla, Sally Sj, Denise, Mary B, Karen, Jeanne, Laurie, Corrine, Donna W, Kerry, Sally St, Donna K, Patty, Kathy C, Jo, Debbie, Dee Dee, Molly, Kari, Melissa, Diane, Julie, Brigitte, Lorri, Colette, and Jacob. I am fortunate to work in a school that has technology pioneers, innovators, and role models. I have observed teachers implement BYOD (Bring Your Own Device) initiatives, use SMART Board and iPads for instruction, and create lessons on Edmoto. I try to capture students and teachers engaged with technology that support teaching and learning and post that to Twitter (search for @Principal French and #RLRoadrunners). Our amazing PTO has gifted us with great technology over the years. They have supplied us with projectors, document cameras, SMART Boards, airliners, an entire desktop computer lab, iPad minis, a portable sound system, and other tools and resources. Just last week they approved the purchase of 2 iPads and blue-tooth speakers for our music teachers and a 32 unit portable Chromebook cart with software. We recognize that professional development is important if we want teachers to take the time and effort to enhance their knowledge and skills. We are dedicating our site time on the January 31 staff development day to technology workshops. Our teachers are presenting on Edmoto (Mr. Biljan), Interactive iPad applications (Mr. Gernand), Moby Max/Raz-Kids/Tumblebooks (Mrs, Rodriguez and Mr, Dylong), SMART Board (Mrs. Mahnke), Twitter and TweetDeck (Mrs. Erickson), and Word Press for blogging (Mrs. Berg). Kudos to these teachers for sharing with their colleagues. It is not always easy for teachers to present in front of friends and collegues and we thank these teachers for doing that! I am trying to enhance my own technology learning through this blog, on Twitter, with Instagram, Pinterest, and other websites and applications. Stay tuned for updates about our amazing teachers using technology. Thanks to action by our state leaders, Osseo will be implementing all-day kindergarten in each of our 17 elementary schools starting next fall. There has been inequity in accessing all-day kindergarten programs because some of our schools had free all-day programs, some schools offered fee-based all-day programs, some schools offered a combination, and some school only had half-day programs. Starting next year, all schools will implement all-day kindergarten for all students. This year at Rice Lake, we have implemented one fee-based all-day kindergarten classroom called Kindergarten Extra. The teacher in this classroom is Mrs. Thom. Mrs. Kuznia and Mrs. Juliot each teach two half-day classes and Mrs. Peterson teaches two half-day English Learner Kindergarten classes. I meet each month with each grade level to discuss instructional practices, academic interventions, student achievement, and other topics. This past week when I met with the kindergarten team, the data they presented about their students excited me about having all-day kindergarten for all students next year. Mrs. Thom shared the growth and achievement of her all-day students compared to that of the half-day students. The data shows that students in the all-day program are making great gains in letter-sound recognition and more of those students are reading. While we are also proud of the growth and gains of our half-day students, the progress our Kindergarten Extra students are making excites me to what we will be able to do for all kindergarten students starting next year. Early childhood, early learning, and all-day kindergarten programs are necessary and valuable for all students so they can achieve their dreams, contribute to community, and engage in a lifetime of learning. On December 23, 2008, I joined Facebook. This was in response to a suggestion made by Tim Wilson, District 279 Chief Technology Officer. He encouraged us to establish a Facebook account to learn about this social media site younger folks were excited about. Since then I have connected with friends and family members, posted photos and updates, and have generally enjoyed using Facebook. Well, nearly five years later, on December 18, 2014, I reengaged with Twitter. I posted my first school Tweet with a picture from a first grade classroom. I engaged with Twitter for the same reasons I joined Facebook, to see why so many young people are flocking to this site. I was inspired by George Couros, a Canadian educator and school administrator who presented to principals at the 2014 TIES Conference. Since then, I have posted 180 Tweets, shared photos of great things happening at Rice Lake, followed 362 people, secured 192 followers, and participated in four Twitter chats. My goals are to share at least one Tweet a day about Rice Lake, get 100% of our licensed staff members following me (I am up to 34 with 18 to go! ), learn more about Twitter chats for my professional learning and growth, and promote Twitter to our staff members, families, and students. -I want to be a role model or others. So, join me on Twitter! Follow me @PrincipalFrench or search the hashtag #RLRoadrunners to see the great things happening at our school. If you are a reluctant Twitter user (like I was), let me know if I can help you or answer any questions. I have found at home I am turning off the television more and picking up my phone, tablet, or laptop to Tweet or read about those I am following. Join me in the Twitterosphere! Here are 5 things I am looking forward to in this new year, 2014. 1. Schoolhouse Rock Live, Jr. – This will be Rice Lake’s second all-school musical. We have nearly 50 students who will be acting, singing, and dancing in this show scheduled to be performed on February 28 and March 1. I heard a rumor there might be another special guest cameo! 2. Welcoming all-day kindergarten for the 2014-2015 school year. – District #279 and Rice Lake are engaged in planning for space, staff, and programming to add all-day kindergarten at Rice Lake, and in all Osseo elementary schools, starting next school year. 3. Continuing our RLR theme. – “Rice Lake Roadrunners Model Respect, Learning, and Responsibility” continues to be our school-wide PBIS theme. This year we added a tagline, “All Aboard the RLR Express.” We will continue to recognize our wonderful students through the Citizen of the Month honor, Right on Track coupons, and classroom recognition programs. 4. Rice Lake students continuing their proven success. – Last year our students demonstrated they are achieving and growing in reading, mathematics, and science through the MCA and NWEA measurements. Teachers and students are working hard to continue the great results we achieved last year. We had the highest Multiple Measures Report rating of all 17 district elementary schools last year, coming only behind MGSH in all District #279 schools! 5. Increasing the use of technology for teaching, learning, and communicating. – Thanks to the PTO, our teachers, and the district, we have added to our technology resources, training, and usage the past few years. I am even getting in on the act and demonstrating that you are never too old to learn! 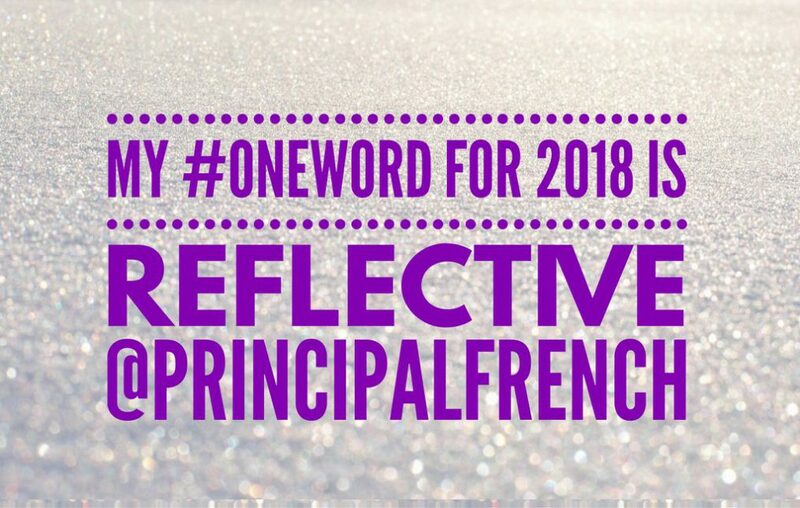 You can follow me on Twitter @PrincipalFrench or see what is happening in school by searching the hashtag #RLRoadrunners. My goal with Twitter and this blog is to share the great things happening at Rice Lake Elementary. I’m looking forward to another great year and am excited to share my learning and observations with you! On this cold January 6, 2014, day in which Governor Dayton cancelled school, I am working to revive my blog for students, families, and staff members. It is minus 23 degrees (with a feels-like temperature of minus 49 degrees) here in Golden Valley…brrrrrr.